computers with screens up to 11.6-15.4inches. a zippered closure, and an extra-cushioned interior. 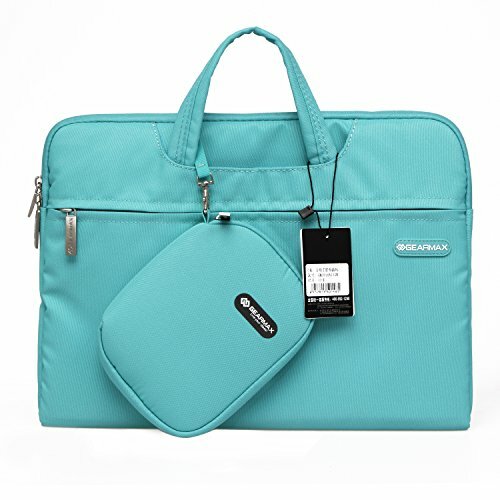 br> - It comes with a side pocket that can store other accessories such as charger, cables and memory cards. br> - Multiple Colors The interior and zipper seam are available in a range of colors to match your style. br> - Waterproof Neoprene with anti-shock EVA padding material allows the ultra protective sleeve to shield against everyday wear and scratches, and absorbs impact without adding bulk. br> - The lightweight design and textured interior delivers adequate protection for daily iPad / Amaon Kindle or Tablet, you can carry it anywhere.